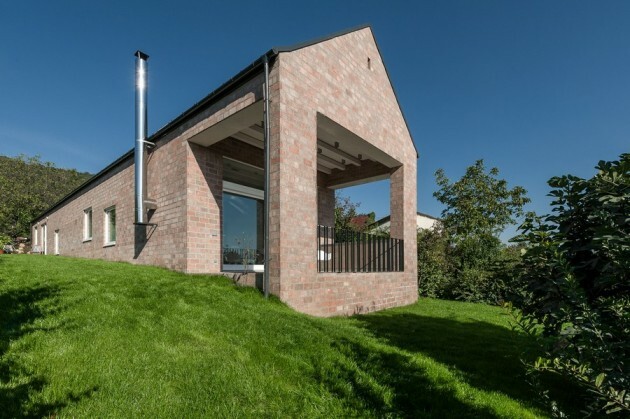 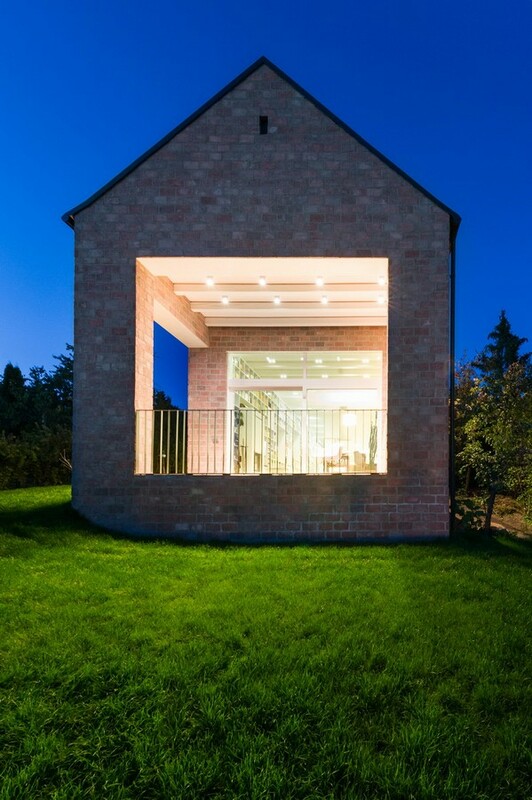 Földes & Co. Architects have designed a home for a couple in Pilisborosjeno, Hungary. 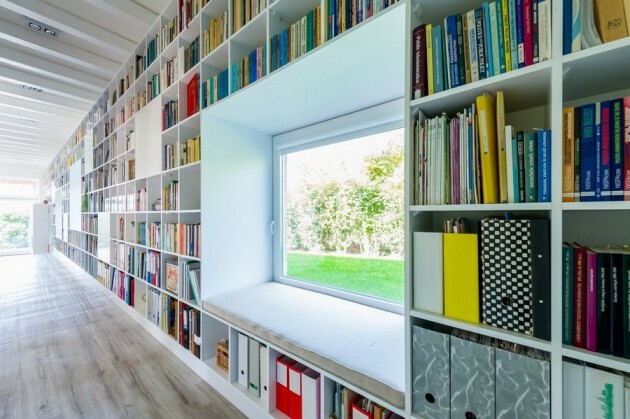 The project initiated by an intellectual couple, had a clear starting poit – the book collections long about 100 meters. 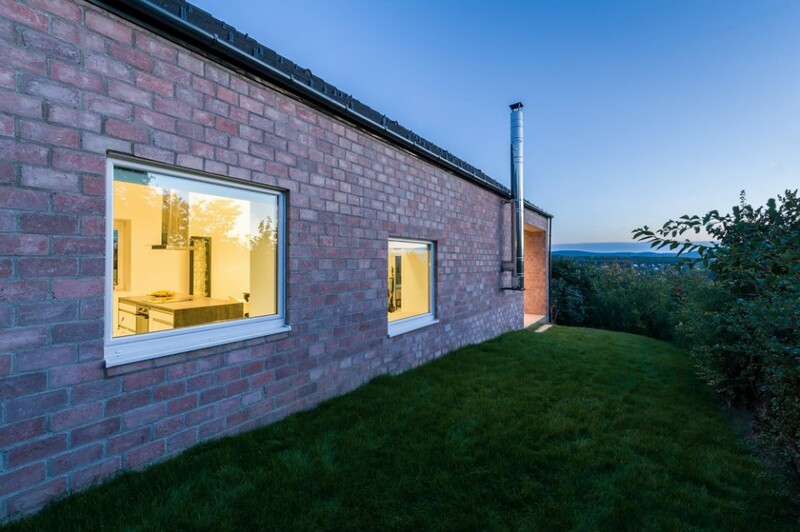 From architects: Taking into consideration the narrow and long shape of the building site, the way of the sun and the low budget programme, also the age of the couple who are to be retired soon, we advised them to realize a straightforward base plan, where the spaces are linked with a long corridor and public spaces face the panoramic view of the valley. 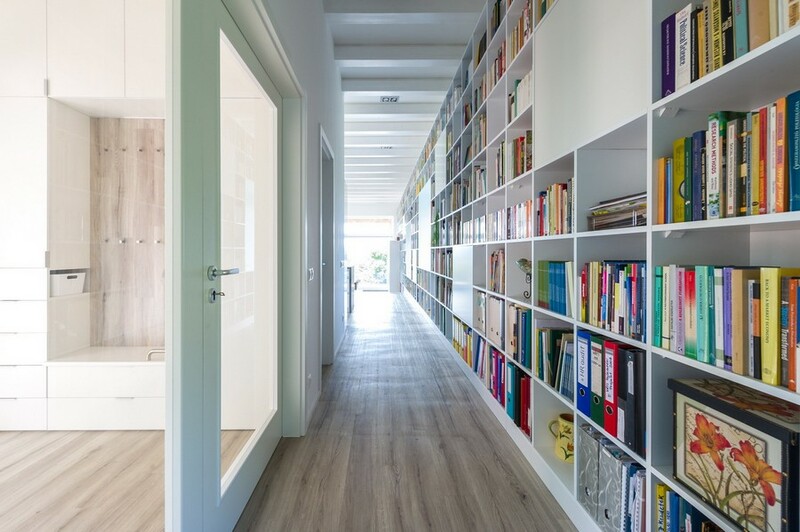 At the same time, to avoid creating under-utilized space we discovered the great potential of the corridor concept. 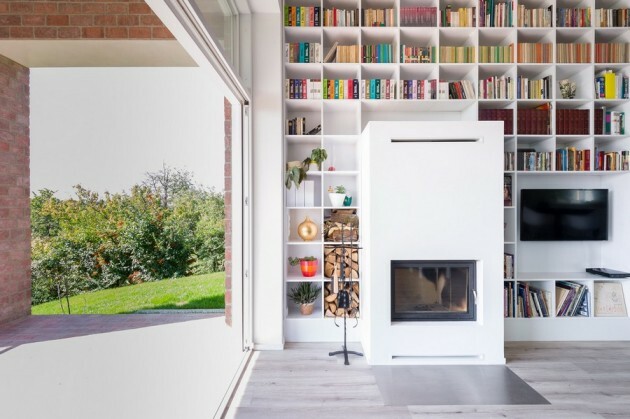 We turned this horizontal axis into a highly beneficial and unique element of the house, a 17 meter long wall of library.